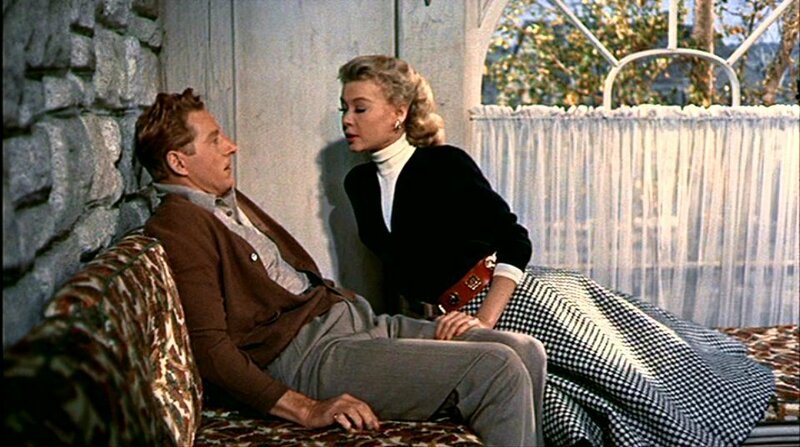 I feel a little guilty about writing so definitely that I prefer Holiday Inn over White Christmas last week...because after I watched White Christmas again the other night, I remembered just how much I love it. :) I think I still like Holiday Inn better, but only by the tiniest bit. 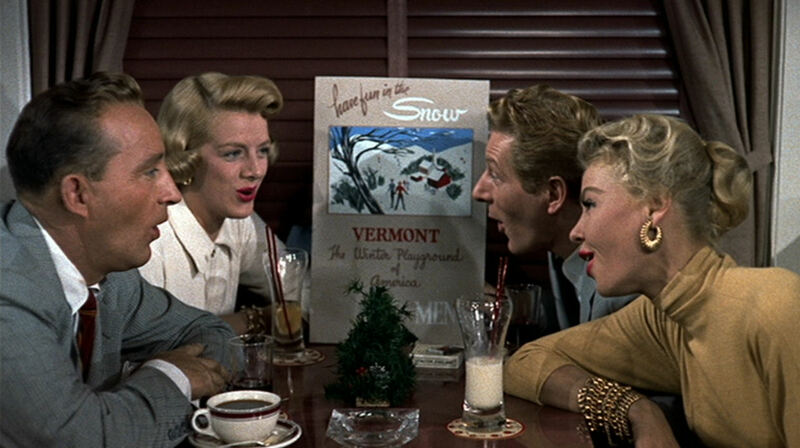 Dear White Christmas, I'm sorry that going a year between viewings made me forget your awesomeness. One of the reasons why is probably because of the musical numbers. Those are pretty important in musicals. :) I love every single song and musical number in Holiday Inn, but in White Christmas, I'm divided. I love about half of the songs, but there are a few dance numbers that are just...eh. Since I mentioned Danny Kaye and Vera-Ellen, I guess I should talk about the other two stars. Bing Crosby is awesome, as usual. I love the little bits of humor with his character. I'm not sure if it's scripted or ad-libbed, but he has some hilarious, off-handed comments that you might miss if you're not really paying attention (or if you're not rewatching this movie for the 20th time). Like when he's reading the letter to the general, who can't read it without his glasses. And Bing moves the letter back and forth to get it at the right distance where he can see it clearly, and he says, "I'm starting to play the trombone a little, too." I just love stuff like that. And I like Rosemary Clooney...she's so pretty and has the loveliest voice. 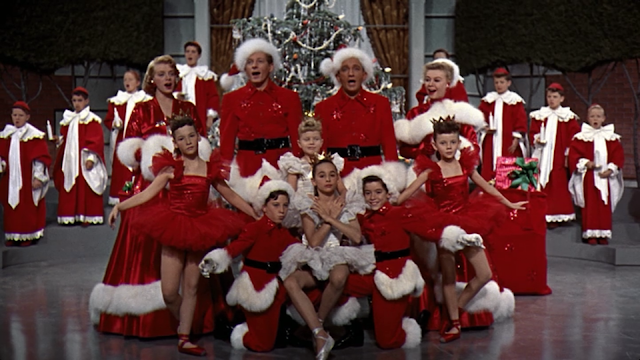 One of my least favorite parts of White Christmas is the Choreography number. Ugh! It's so awful and bizarre and awkward. I'm also not a huge fan of the random Vera-Ellen dance number stuck right in the middle. The music is catchy (it's Abraham, which was also in Holiday Inn), but it just feels unnecessary. Do you like White Christmas? What are your favorite and least favorite songs/dance numbers in the film? Aw, I adore this movie. Haven't watched it yet this year though... I don't have a clue why not. I think I have to psych myself up to watch musicals because they are SO long however sparingly, they're worth the time. This is my favorite movie of all time! I've probably watched it a hundred times. I do agree that the choreography number is odd. And I really don't like the minstrel number (and it's sooo long!). I actually usually skip right over that part of the movie. I am the odd man out because I love the choreography sequence. I think they are making fun of the annoying and unnecessary dream sequences that some musicals have. Like Oklahoma. White Christmas is one of my favorite movies! I am glad you liked it better this time. Holiday Inn is a great one to. I love how much of a cad Fred Astaire is. I love White Christmas! It's one of my favorites. I was lucky enough to see it on the stage this year at a lovely restored theater here in Baltimore called the Hippodrome. The dance numbers were much more impressive live.